No, you’re not in Huddersfield. 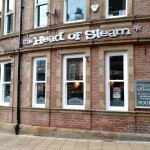 There’s a Head of Steam in Leeds now. Thus far in our quest, there have been only five establishments to earn the top 5-star rating for beer. 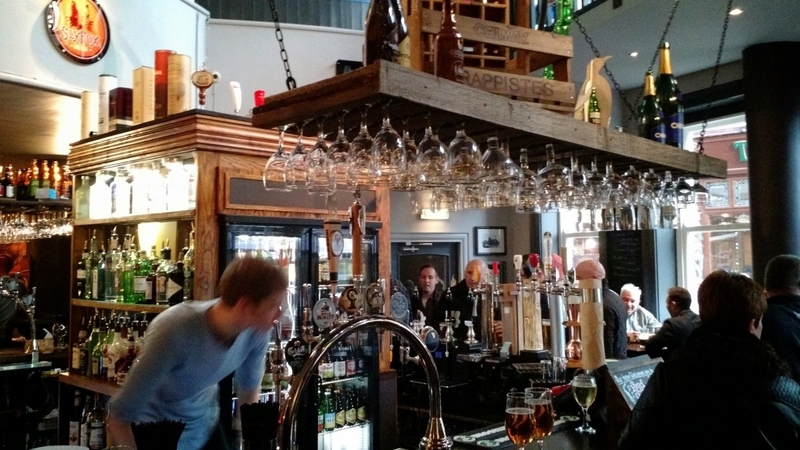 There’s now another member of the club: the newly opened Head of Steam on Mill Hill. 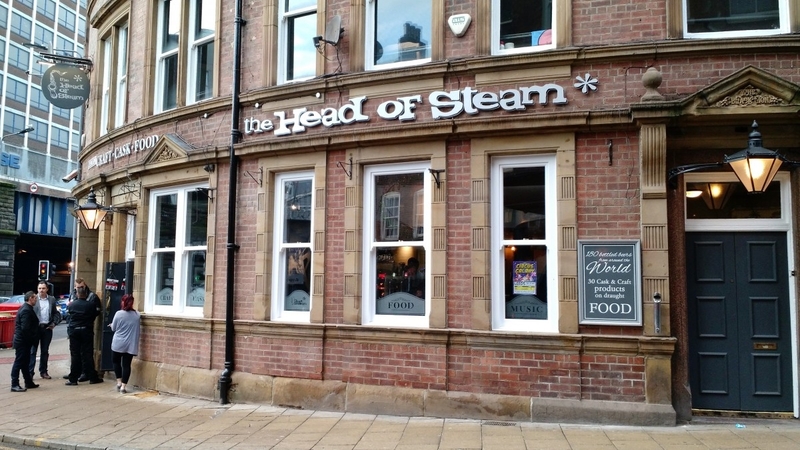 It’s part of a northeastern chain and this is its second outlet in Yorkshire after Huddersfield station. Look at all those beautiful kegs! It merits these five stars with a whopping 13 good kegs and 9 casks, plus an impressive bottle collection mostly from the U.S. and Belgium. 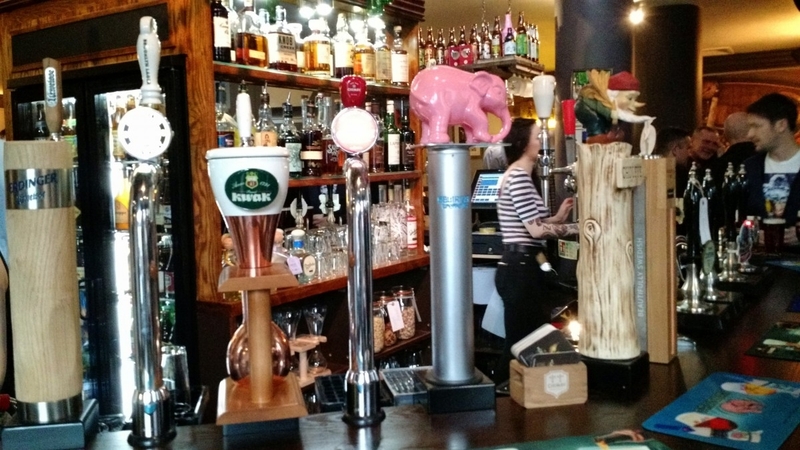 With dedicated kegs for Delerium, Kwak and Vedett IPA, they compete with North bar for the widest range of Belgians we’ve seen. 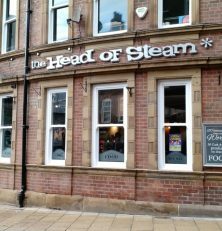 What makes the Head of Steam unique is that it’s the only 5-star place which also offers run-of-the-mill shite like Carlsberg and Tetley’s. We’d call it a bit of a cross-over bar, appealing to the likes of us and also the masses who want a cheap pint of mass-produced lager. A much nicer and cleaner feel than the Spencer’s that came before it. Anyone who came here back in its incarnation as Spencer’s will recognize the general layout but not much else. The complete refurbishment has made it miles cleaner and classier than its predecessor (though that wouldn’t take much). There’s still the circular bar at the front and plenty of seating on two levels. Emily is happy. She has just perused the beer menu. The food menu offers the basics of burgers, pizzas and fancy bar snacks. The music is good but very loud, and with the crowds we’ve seen in there it’s probably not the place to come for a quiet drink. 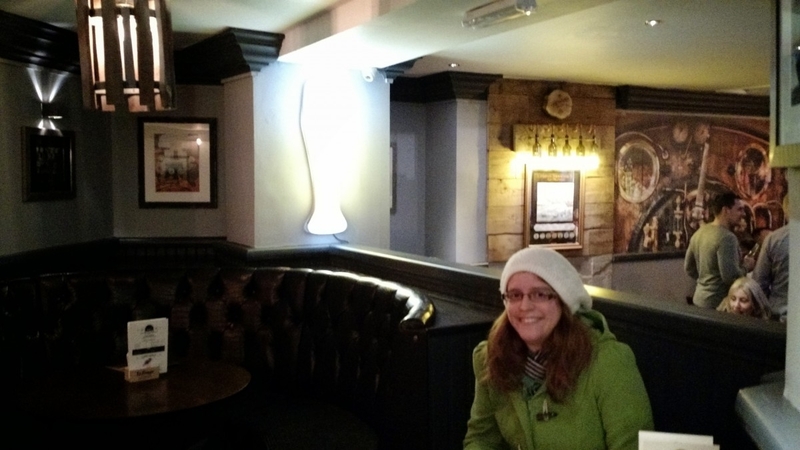 But if you’ve got a group with both craft beer drinkers and people who get pissed off with Carlsberg-free hipster joints, this could be the spot for you! A good all-rounder, as the review states. 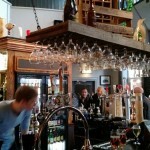 The interior is a bit pokey and oddly shaped, but the bar area is quite stylish. Beer choice gives something for everyone, from cheap lager and ale up to rarer Belgian and American ales, although these are slightly more expensive than they ought to be. There is also a pizza/burger menu and from the look of it they do pretty good quick food that doesn’t cost an arm and a leg. It’s yet to really take off, and could use a few themed nights to get a crowd of regulars in. Leeds already has far too many ‘please some of the people some of the time’ places, and this has the potential to be more than that. 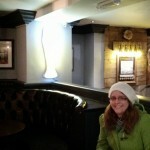 Since my review the place is rammed every evening! Good luck finding a seat from 5.30 onwards, you’ll be lucky. They need a bigger venue- already! 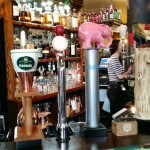 Maybe they can take over the Prince Of Wales over the road (please, please).